Tobacco use is also related to severe gum disease. Becausesmoking weakens your body’s ability to fight infection, bacteria build up more easily in your mouth in the form of plaque and tartar. Bacteria in plaque irritate the gums and cause them to pull away from your teeth, resulting in bleeding and sensitivity. This can ultimately lead to tooth and bone loss. 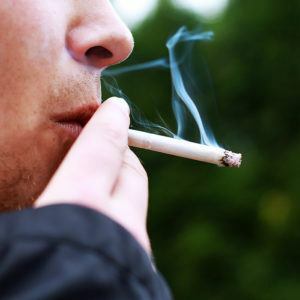 Those who smoke are two times more likely to develop gum disease than a nonsmoker.